The Melbourne Metro Rail project is paving the way for a three decade urban renewal project in the region to the immediate north of the established CBD. 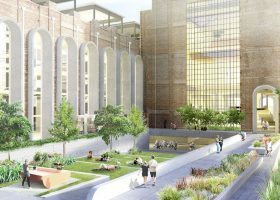 The Victorian government plans to invest $7 billion on the transformation of a large part of North Melbourne into a thriving commercial and residential precinct that will capitalise upon the improved transit opportunities created by the Metro Rail project. The draft plan for the Arden Urban Renewal Precinct just released by the Victorian Planning Authority envisages a 30 year overhaul of the 56 hectare area between Dryburgh Street, Macaulay Road, and the Upfield rail line, with the goal of creating a new “global knowledge hub” that forms an integral part of Melbourne’s central city. The three decade urban renewal project is expected to add 15,000 new residents to the area, as well as create 34,000 new jobs with an emphasis upon knowledge economy sectors. North Melbourne’s Ardent Precinct is an ideal site for urban renewal, given plans to add a new train station to the area as part of the Melbourne Metro Rail project, as well as its position just adjacent to the established CBD and the residential precinct of Macauley. The Arden Station, slated to commence operation by 2026, will be situated just a single stop from the CBD and Parkville, as well as Melbourne’s thriving western suburbs. Minister for Planning Richard Wynne said that the Melbourne Metro Rail expansion is paving the way for the renewal of inner city Melbourne, thus helping to meet rising demand for housing while also creating new employment opportunities. “We want people to contribute to Arden’s future plans – this area will be another long-term legacy of Melbourne Metro Rail,” said Wynne. 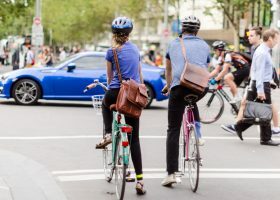 The overhaul will seek to maintain much of the historic industrial character of North Melbourne, while adding sustainable transportation features, such as dedicated bike paths and pedestrian routes, and creating lively public realms and green spaces. The VPA also plans the creation of a diverse range of housing to accommodate the area’s expanded population, and the construction of two new urban boulevards.